Hey There Friends! 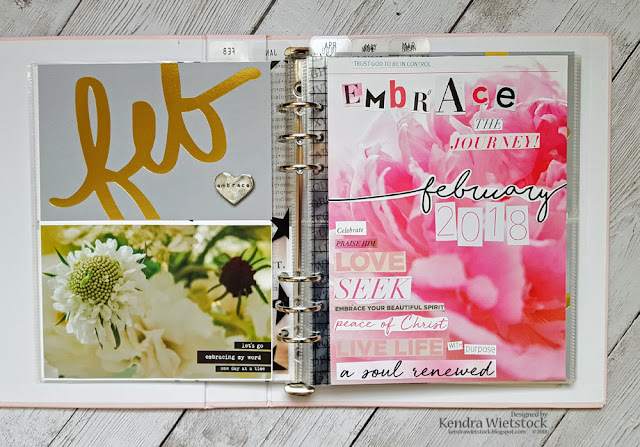 I've kind of been out of the scrapbooking groove the last few weeks because my schedule hasn't allowed. However, I still have a page to share for my Project 52 album. 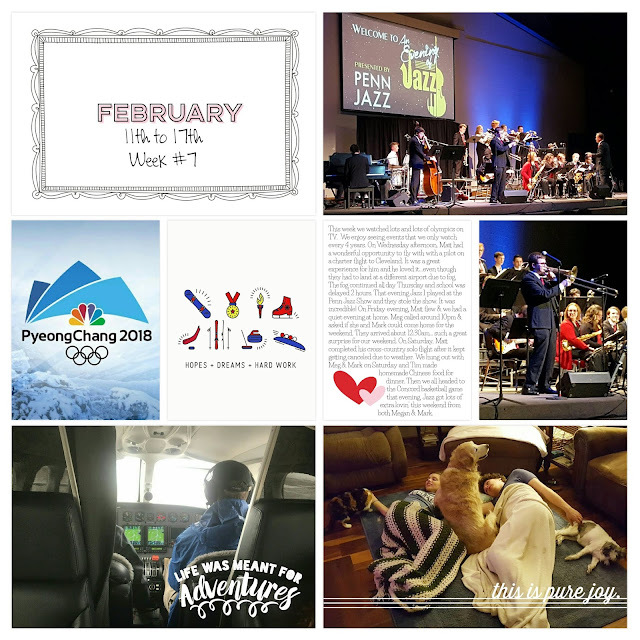 My page for Week #8 is jam packed with both photos and journaling because there was so much going on last week both with our family & in our community. 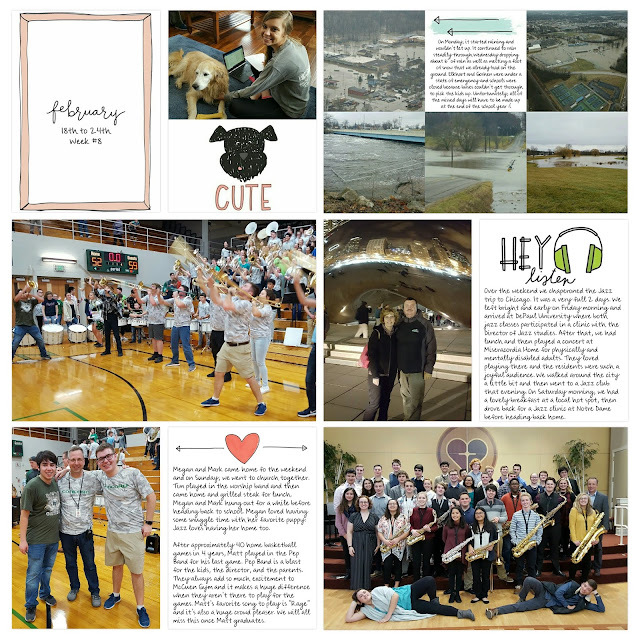 I used the Project 52 Rad Edition, Project 42 Rad Calendars, and the Personal Yearbook Overlays kits for this page. I also used the collage feature of the Project Life App for the photo cards in the top row. For my daughter's photo, I needed to have it in a landscape orientation and for the flood photos, I wanted to add several pictures along with some additional journaling. Using the collage feature works perfectly for both of these types of issues. Once I finished the collage photo, I just saved it to my gallery and then pulled it into my page as a photo. Welcome back! I hope you've been having a good week so far. It is incredibly soggy in northern Indiana. 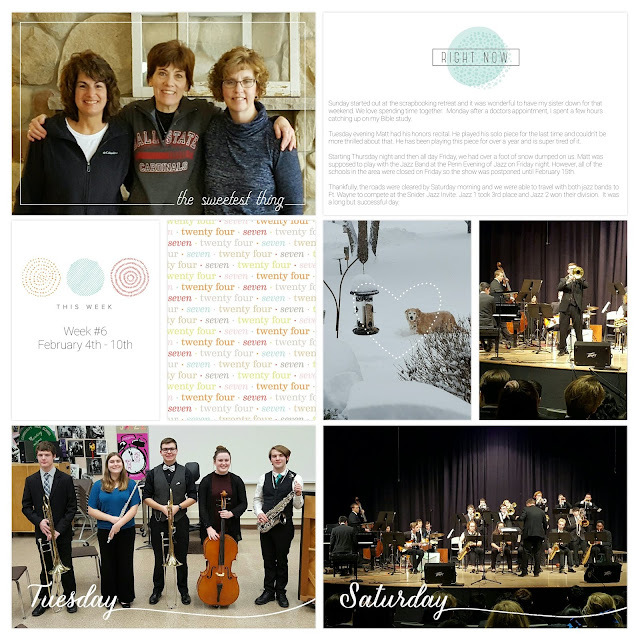 Today I'm sharing my Project 52 page from last week. I used the new Project 12 - February kit along with overlays from High Five, Explorer, and Just Add Color. For the "Hope + Dreams + Hard Work" card, it didn't have any colors added, so I downloaded it using the collage feature in the Project Life App and added the colors in Photoshop Elements. Hi Friends! 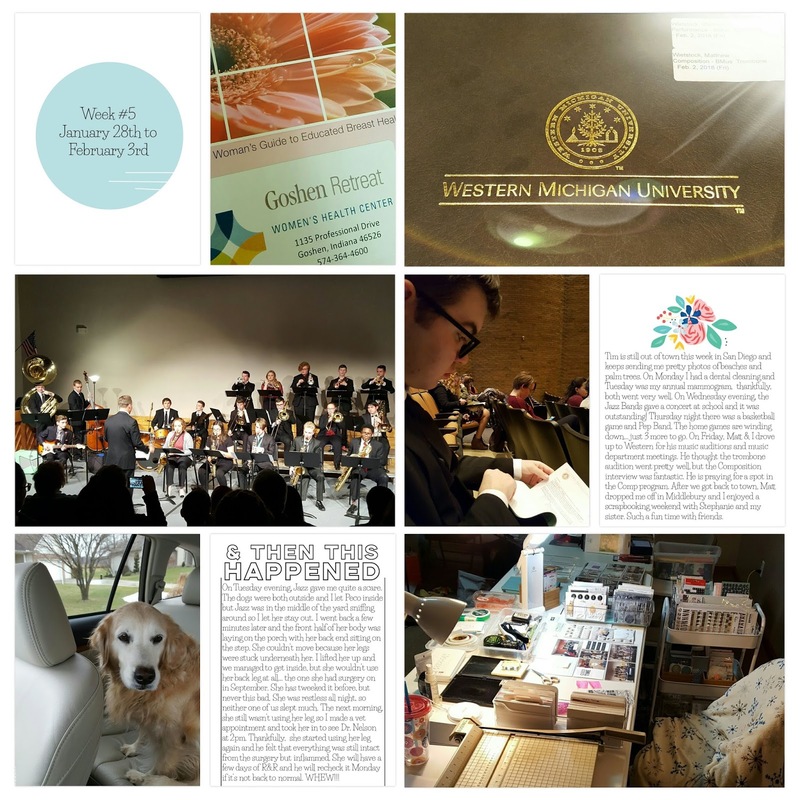 Today I have another Project 52 page to share using the Project Life App. I used the Currently Kit ~ an older one but still one of my favorites. I also added some overlays from the Project 12 -February kit and the Project 52 Overlays. Hello Friends! I've been working like crazy to get my son's junior year band album done so I can get started on senior year. Well ... GUESS WHAT? Over the weekend I finished his last few pages. I'm super excited!! I do a full album (like 100 layouts) for each school year. I stated this madness when my daughter was a freshman and I'm determined to finish before my son graduates ~ that is a total of 8 super full albums! Today it was actually sunny outside, so I took some pictures using natural light. To be honest, I'm not really sure it is any better then the light box I have set up in my basement. These pocket pages are incredibly time consuming to photograph, so I'm not even going to try taking photos in the light box to see if they are better. So anyway.... I wanted to share a few pages I made using the Ali Edwards Story Kit called For the Love. It is a fun kit with lots of great journaling cards and embellishments. I also added some coordinating supplies from older Story Kits here and there. I love having the digital versions of the Story Kits because I can add my journaling in Photoshop Elements and then print them out like I did on the top left card on the page below. I promise I've been busy working on pages to share & will post some too. 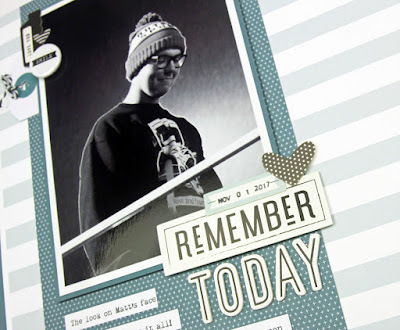 The real problem is the gray and gloomy weather and the amount of time it takes to photograph those darn physical project life pages. Plus... last week was super busy and I was out of town for three days. So anyway, I'll share my latest Project Life App page. 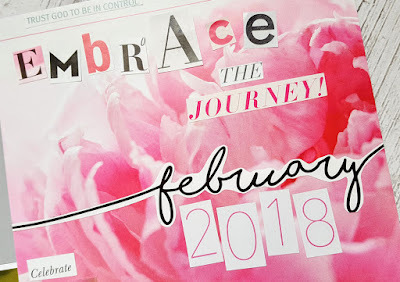 I used the Project 12 - January and February kits for this page and included a bit of extra journaling this week. Hello There! The other day I was looking for some photos from the end of the marching band season. I knew that a friend of mine had posted some, so I went searching. I found this gem of my son right after his last evening practice was over. It is a bittersweet photo that made me tear up when I saw it. His face showed so many emotions of accomplishment and satisfaction, and yet a bit of sadness too because his Concord Marching Band days were coming to a close. Years down the road, I hope when he looks back on his years in band, he has this same look on his face. For my layout, I selected products from several different Felicity Jane Kits ~ Reagan, Mila, and Willow that I can recall. I love how all of the products fit so beautifully together from kit to kit.